Drama and danger abound in this “intricately woven” (Shannon Messenger, author of the Sky Fall series) fantasy realm where dukes play a game for the throne, magical warriors race to find the missing heir, and romance blossoms where it is least expected. Johanna could feel it. The fear, the haste, the pebbles sliding under her feet, the hiss of arrows as they sliced through the air. She could see the dark clouds kissing the gray stone of the Citadel, hear the clash of steel and the cries of the dying. Blood and desperation hung thick in the air. Every word her father murmured—his voice pitched low to match the intensity of the tale—rang with images, sounds, and pictures. Some people told stories, but her father played every audience on taut strings, strumming their senses and plucking at their emotions. People would travel for days to hear one of his specially created works of art, to be entranced by his voice and the not-quite-magical powders he employed to illustrate each tale. The story of “The Thief and the Great Tree” was his personal specialty, but he didn’t tell it often. Johanna leaned forward, memorizing every pitch and cadence, waiting for the moment when he’d reach into one of the hidden pockets of his cloak for the handful of powder stored there. Even knowing it was coming, even watching carefully, she missed the trick. A cloud of fine brown dust filled the air between them, seeming to appear out of nowhere. His hands danced in the smoke, shaping the ephemeral mist into a great tree. Her father’s hands twirled across the dust. A gnarled face materialized in the tree’s trunk. Its eyes reflected and magnified the scattered starlight, glaring pure malevolence at its captive, he said, and Johanna mouthed along. The Tree’s breath, icy as the last days of autumn, brushed the Thief’s skin and made him tremble. There was a moment of stillness, of awful silence, when the Thief knew the Tree weighed the truth of the words. The Thief held his breath, waiting to be crushed in the Tree’s grip. He heard nothing save the clank of armor as his pursuers drew nearer. Then the Great Tree’s topmost branches bent parallel to the ground, as if a sudden gale had forced them forward. The Thief realized it was a nod. “Take the treasure and run.” The cage disappeared, re-forming into a second hand, which lifted the Thief to his feet. “Run!” the Tree shouted. The Thief sprinted away, only looking back to see if the mountain was tumbling down behind him. It wasn’t. The Tree drew its roots out of the ground, pulverizing stone as it yanked tentacles out of the rock. They wound together, becoming giant legs that straddled the path. The Tree snatched the nearest soldier, and with a wet twist, the man became two halves. Johanna rocked back on her heels, her heart still pounding from the power of her father’s tale. Marin’s words sounded sharp, but Johanna knew they were said with love. Her parents hissed at each other like mad cats before every show, but it was all preperformance anxiety. A good audience had the heady effect of strong champagne, making the Performers drunk on applause and accord. Once their routines were over and they received their ovation, her parents couldn’t remember what they had argued over. Marin couldn’t restrain a grin in her daughter’s direction. They always stood together as a team to tease Arlo or cajole him to their way of thinking. Arlo spluttered with mock affront, and was ignored as his wife stripped off the outer layer of her gown and turned it inside out. A voice bellowed from outside their red-and-white dressing tent, calling Marin to her next position—a vocal performance on one of the smaller stages. She pulled a clip out of her hair. Her ash-blond curls fell free and completed the transformation for her next act. “Always.” Marin disappeared through the tent flaps and didn’t look back. Johanna turned, expecting some witty remark or quick joke at her mother’s expense, but a troubled look marred her father’s face. “Papa,” she asked, instantly concerned. “What’s wrong? Is your back bothering you? I can get the jar of liniment. . . .” Her voice trailed off when she realized that he couldn’t hear her. He’d disappeared into a memory; and, from the slump of his shoulders, it wasn’t a pleasant one. Arlo shook himself out of his daze and straightened his spine, but the ghostly thoughts traced hard lines about his mouth. “Johanna, you remember the rest of the story, don’t you?” His voice was deep and husky, his eyes intense. Their travels from Performers’ Camp took them past the ruins of Roraima several times every year. She remembered the tumbledown walls of the former capital. The charred skeletons of homes and businesses reached through the ground, bones rising from the graveyard Roraima had become. Above it all was the Citadel, the once-proud castle of their deceased king, cowering like some terrified animal at the foot of the Keepers’ Mountains. Few people ventured into the ruins, claiming that evil things lurked in the shadow of the Citadel’s walls, and that the stench of death lingered—even fifteen years after the city’s destruction. Johanna opened her mouth to counter, but a Performer shouted for Arlo to get to his position. The grim seriousness dropped away from her father’s countenance in less time than it took his cloak to hit the floor. “Then you should wish me luck!” she yelled as the flap fell, and heard her father laugh in response. Her younger brothers, Joshua and Michael, weren’t typically naughty, but a Performers’ tent city was rife with opportunities for pranks and practical jokes—swapping the lids of the makeup containers or switching the pennants that flew over the performing area with several pairs of bloomers. As she left the tent, she scanned the sky for purple under­things flapping in the wind. Her younger siblings hadn’t replaced the flags. Yet. Performers costumed in a riot of colors, bangles, and patterns hurried through the temporary canvas town. Others warmed up soon-to-be-used voices, stretched well-trained muscles, or painted their lips red and outlined their eyes with dramatic black lines. Johanna smiled at the familiarity of it all. These people, seemingly crazy and loud, were her family. Not all of them were blood relatives, though she had a handful of cousins and an uncle in the troupe, but they cared for each other like kin. The acrobats were stacked three high, balancing on hands and shoulders. As she approached, her eldest brother, Thomas, climbed to the top of the teetering tower. “Have you seen the boys?” she yelled as he placed his palms on another acrobat’s head. Thomas shifted his weight and pushed himself into a handstand. “They were near the wagons,” he responded, pointing his toes to the sky. Johanna ached to be back in the show, to hear the applause and her name shouted with adoration. An unfortunate incident with a flaming firesword had left her with a hideously short haircut and a nasty wound on her forearm. The injury didn’t bother her anymore, though the skin was tight and puckered. “I’d come back today, if the Council would let me.” She threw a series of back handsprings to demonstrate how well she’d recovered. “Hey! I’m doing my best,” her brother muttered. Their bickering and laughter was drowned out by a small explosion. Red sparks shot into the air, cartwheeling over the camp. Before he finished his curse, Johanna was running toward the multihued wagons that divided the tent camp from the performing area. Performers were a secretive people by nature, keeping the tricks of their trade private, sharing only with family members and apprentices. They didn’t appreciate crowd members wandering through their camp and stealing the secrets that made their entertainment so valuable. Johanna reached the boundary in time to see two blond heads disappear into the mass of people. She hesitated, remembering her father’s warning not to go into the crowd alone, before plunging into the throng. The entire township of Belem had turned out for the performances. Their duke, also known as Belem, hired a performing troupe to entertain his people at least twice each year. The peasants, dressed in their finery and drunk from a day of festival revelry, pressed close to the three raised stages trying to get a clearer view of the acrobats, Fireswords, and actors who entertained simultaneously. I’ll never find them in this mess, she thought as she shoved her way through the onlookers. Where would they have run to? Where would she have gone if she was still eleven or eight? To watch Father perform, of course. Some long-deceased Performer had built small platforms in the highest branches of the araucaria pines. Unlike their tri­angular relatives, the araucaria’s bristles grew in clumps at the top of the tree, giving an unobstructed view of the Performers high above the duke’s fine home. It was one of the few places where a fall from the high wire was truly dangerous. She searched the crowd for her father’s crimson costume, hoping her brothers would be nearby. He stood at the base of the tree, deep in discussion with a person she couldn’t see around the fat trunk. If it hadn’t been moments prior to his show, she wouldn’t have been surprised. Her father was always in negotiation with someone—nobles and peasants, merchants and fisherfolk, blacksmiths and bartenders—to schedule another show. And yet he usually spent the few moments before every show doing a mental rehearsal of his routine. It must be an excellent fee for him to do business now, she thought with a grin. The cannon boomed, signaling the beginning of the main attraction, and her father ascended the tree. Johanna turned, scanning the crowd. She still had no idea where her brothers had disappeared to. Perhaps they had continued beyond the performing area toward the rocky beach that bordered Duke Belem’s property? Her stomach swirled with nerves as she imagined the boys splashing around in the choppy water. Both were strong swimmers, but even so . . . The crowd bunched close, filling Johanna’s nose with the stench of perspiring bodies and the sickly-sweet scent of pink guava rum. A hand pinched her bottom, but she ignored it, moving along with the press and drawing nearer to the ocean with each step. Then, like fish caught in a giant net, the entire audience stopped. Every head tilted skyward, focusing on the man standing on a web-thin thread strung across the horizon. He waved bravely before edging his way across the rope, seemingly nervous and tentative. It was all a ploy. In a moment his arms would windmill; the audience would gasp both terrified and thrilled that they’d see this Performer fall to his death. Ten steps and her father did exactly as she expected. The man beside her muttered an oath under his breath, and Johanna bit her lip to keep a satisfied smirk from appearing on her face. The audience was locked in the moment; no eye blinked; no one shuffled forward. Then the arm actions propelled her father into a series of somersaults. An enormous cheer rose to the sky, completely blocking out the waves crashing on the beach nearby. The crowd didn’t mind that they’d been fooled. They loved the spectacle too much. Her father finished his routine with a standing backflip and flourish. She couldn’t see his smile but could tell by the confidence in his wave that he was proud—as always—of his performance. The audience applauded, then laughed when Arlo’s arms whipped through the air again, one shoulder dipping toward the rope. Her father rocked forward onto his toes, then back on his heels, throwing his hips out for balance. This wasn’t part of the act, and he never, ever deviated from his routine. One foot lifted high off the rope, extending far to the side. “No!” The scream wrenched from her throat. She tried to force her way forward, but the crowd was too tight, the bodies too close. His other foot left the rope and he pinwheeled through the air, disappearing from view. The shrieks of delight turned to shrill cries of terror, all muffling the thud of his body as it smashed into the ground between groups of onlookers. Weeks later when Johanna woke from sweat-soaked nightmares, she was very grateful her brothers had disobeyed that night and gone to play on the beach. No child should ever have to watch their father die. Becky Wallace grew up in house full of stories with people who loved them. Her parents, both school teachers, only took her books away when it was very late at night—and usually pretended not to notice when she read by flashlight. She wrote and directed her first princess-related play in sixth grade, started her first “romance” novel in seventh, and penned a binder full of bad poetry in high school. She’s very grateful all those manuscripts have been lost. 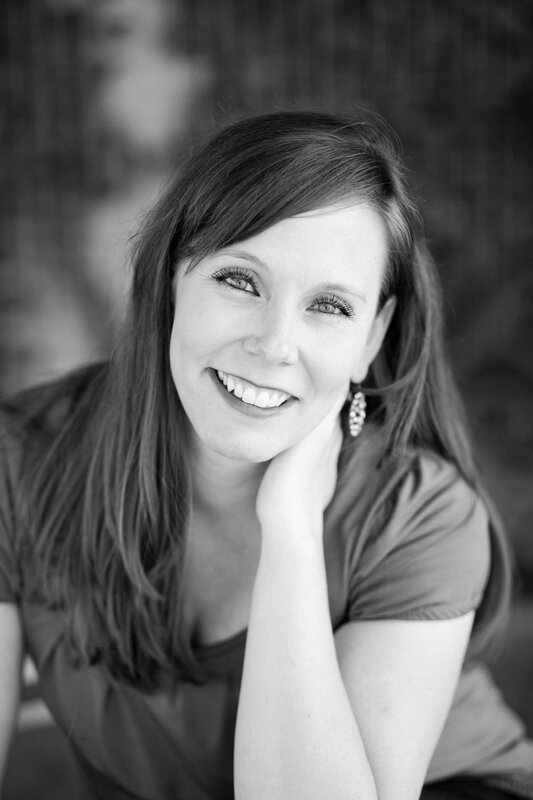 She graduated from Brigham Young University with a degree in Public Relations and worked in minor league baseball as a journalist and in sports marketing. She was lucky enough to find and marry a real-life prince charming. They have four little munchkins and are living out their own happily-ever-after in Houston, Texas. "An intricately woven, beautifully told tale, laced with heart, wit, and edge-of-your-seat suspense--plus the perfect amount of delicious swoon, Bravo! And encore!" – Shannon Messenger, author of the Sky Fall series. "Becky Wallace couples a classic romance with cut-throat political intrigue and wraps it in a detailed and enthralling magical world. I can't wait for the sequel." "This tale of murder, kidnapping, and magic held me from start to finish!" 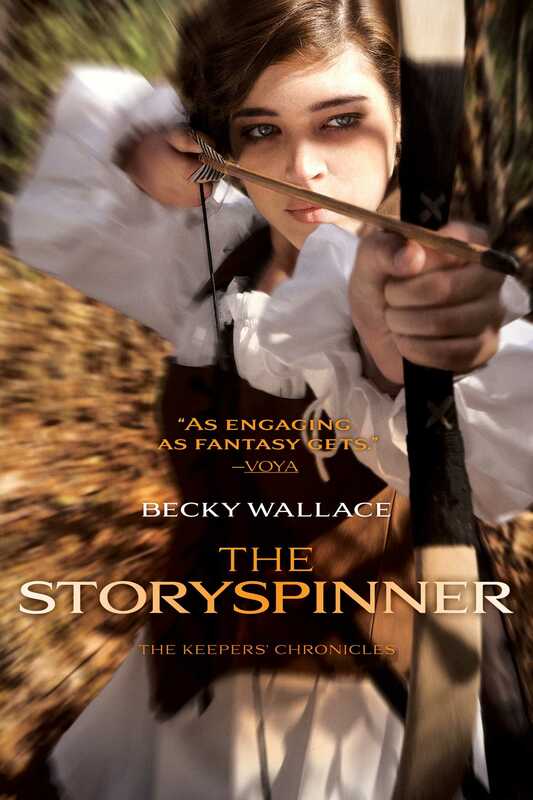 "Wallace bucks the trend of retold fairy tales... and nicely balances romances with adventure. An...action-packed beginning." "This first installment of The Keepers’ Chronicles is as engaging as fantasy gets, full of magic and romance, intrigue and espionage, epic battles and heartbreaking loss. The quicker the second book comes out, the better. This is definitely recommended for public and high school libraries." "In this beautifully constructed first installment of a new fantasy series, Wallace creates a lush environment, interweaving unique characters. Recommended for fans of classic fantasy (J.R.R. Tolkien) as well as more modern fantasy adventures by Melina Marchetta, Kristin Cashore, and Sarah J. Maas." "Political games meet magical intrigue in this Portuguese-flavored fantasy debut..."
"In a land where stories may be more than mere tales woven by artful Storyspinners, the search is on for the missing heiress to the kingdom... Readers will enjoy the quick pace of the tale."